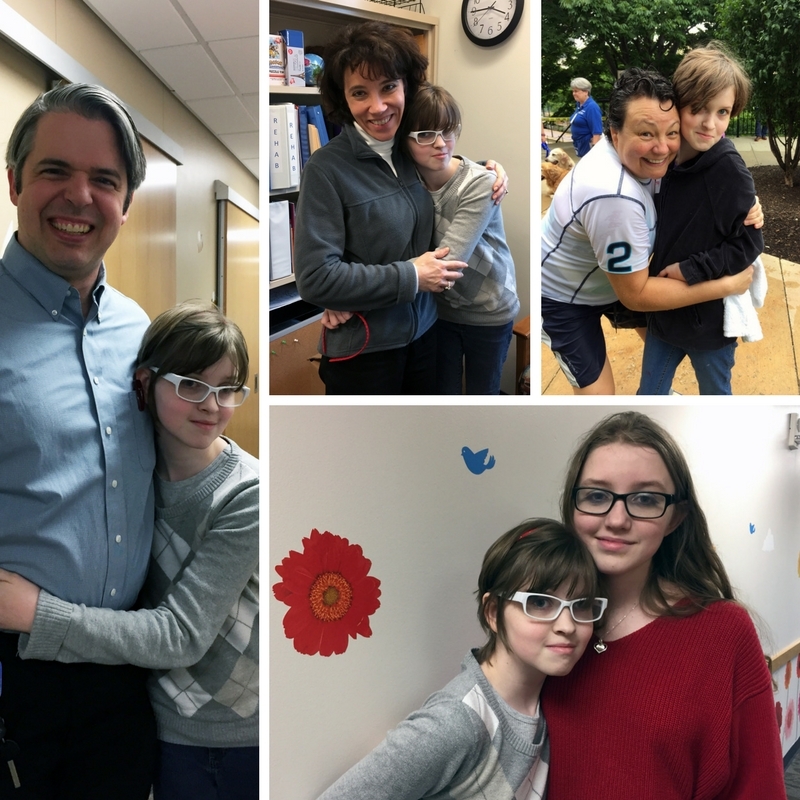 Courtney, 11, has an amazing support system to help her through life with cerebral palsy, including (clockwise from left) Dr. Micah Baird, a pediatric physiatrist; Dr. Nicole Swain, a pediatric psychologist; Dr. Lisa Stanford, a clinical neuropsychologist; and her older sister, Kellie. Like most kids, Courtney Kirsch just wants to fit in with the crowd at her middle school. With growth and time – and especially with the help of her care team at Akron Children’s Hospital, Courtney has been able to overcome many of the challenges associated with her premature birth and the symptoms of mild cerebral palsy that came as a result of her early arrival. Courtney, 11, will be the featured patient at the March 9 groundbreaking ceremony to begin construction of a 230,000 square-foot addition to the hospital’s 7-story Considine Professional Building. The $84 million project will bring together all of Akron Children’s outpatient clinics and programs and give several key departments much needed room to grow. One of those departments, Akron Children’s NeuroDevelopmental Science Center (NDSC), is where Courtney sees three specialists: Dr. Micah Baird, a pediatric physiatrist; Dr. Lisa Stanford, a clinical neuropsychologist; and Dr. Nicole Swain, a pediatric psychologist. Courtney’s primary care physician is Dr. Carrie Lehman at the Akron Children’s Hospital Pediatrics office in Tallmadge. With Dr. Baird’s help, Courtney has been able to overcome balance and mobility issues and now walks without the need for leg braces. Drs. Stanford and Swain help Courtney with academic and social concerns, including testing that helps her parents and teachers at Tallmadge Middle School plan for the special services and interventions that help Courtney stay on par with her peers. Courtney straddles the line between being the “typical pre-teen” and the kid who has a little difficulty keeping up with the other kids, perhaps because her CP gets in the way of her strength, speed or dexterity. As Courtney approaches her teen years and begins another growth spurt, she has been dealing with more pain than usual – her muscles don’t stretch as quickly they should – but regular visits with a massage therapist have been helpful. 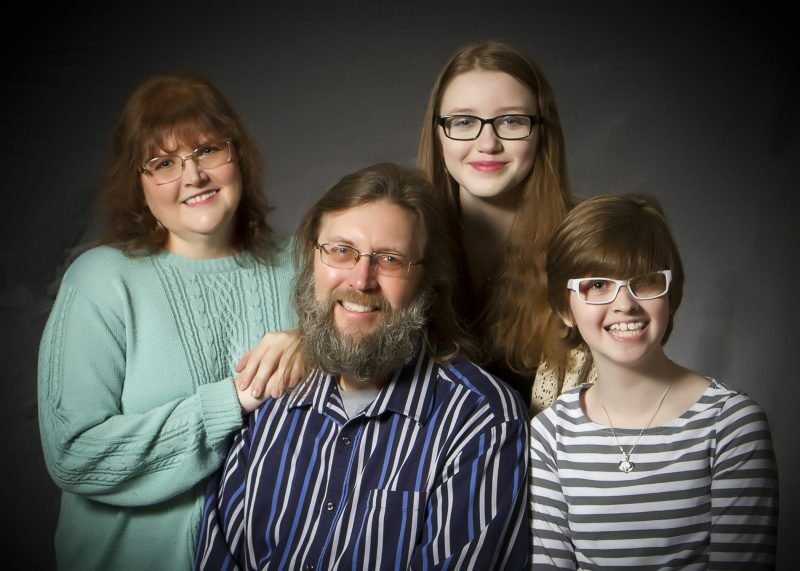 The whole family – dad is Christopher and older sister is Kellie – celebrate Courtney’s successes, such as recently being named gym class MVP after her teacher observed her leading teammates through a maze of obstacles while blindfolded. The Kirsch Family: father and mother Christopher and Jennifer with daughters Kellie and Courtney. Courtney loves listening to music, especially 21 Pilots, and playing video games like Minecraft and Pokemon Go. She is on the Tallmadge Middle School team for Project PANDA (Prevent and Neutralize Drug and Alcohol Abuse), a program of the Community Health Center. “Our overall message to Courtney is that CP may be a speed bump but it’s not a road block to what she wants to achieve in life,” said Jennifer. On a recent visit to the NDSC for an appointment with Dr. Swain, Jennifer, Courtney and Kellie already noticed some changes as construction of the Considine Building gets underway. They checked into a different desk as the neurobehavioral team’s offices have moved to the north side of the building. When the project is complete in April 2018, the NDSC will span the entire 4th floor, housing neurology, neurosurgery, physiatry, neurobehavioral health and developmental-behavioral pediatrics. Many patients see providers in two or more of these areas. The front desk staff warmly greeted the family and checked them in. Dr. Baird happened to walk by and gave Courtney a hug. Then Dr. Swain got a hug too before she and Courtney headed back to her office.